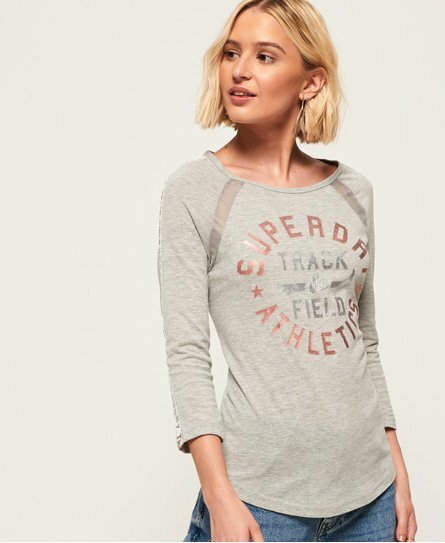 Superdry women’s Track & Field baseball top. This baseball style top features three-quarter length sleeves, a metallic effect Superdry Athletics logo design across the chest and mesh panelling on the opening of both sleeves. The Track & Field baseball top is finished with Superdry Track & Field panelling down both sleeves.